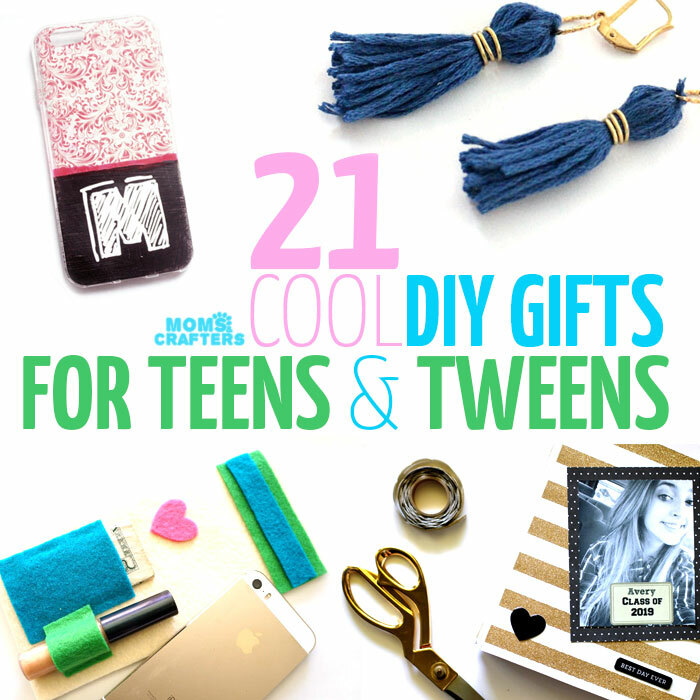 If you’re looking for a gift for a teen in your life, you’ll love these DIY gifts for teens and tweens! Because why buy if you can DIY? These 21 DIY gifts for teens and tweens are great for both boys and girls (well, some are for boys, some for girls). Make them for a friend, child, sibling – whoever you’d like to celebrate! Click on the image or title to see the tutorial. Once you’re there, why not leave a comment, thanking that blogger for the inspiration? Please note: images are the property of respective bloggers. If you’d like to share this post, feel free to do so using one of the collages – either the first or last image. Thanks for understanding! Disclaimer this post contains affiliate links. 1. 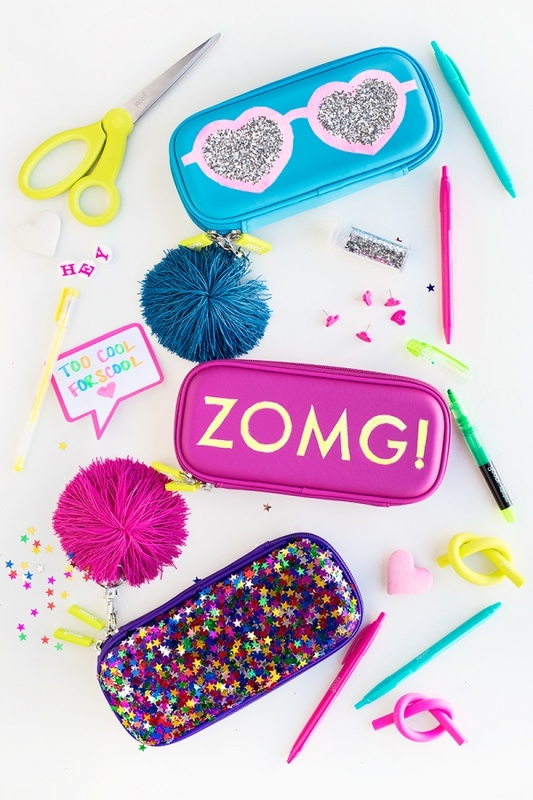 You don’t even need to be a teen to love these adorable glittery graphic pencil cases by Studio DIY. I love them too but then again, I am a teen at heart. They’re great for makeup, traveling with jewelry, and many other purposes. 2. 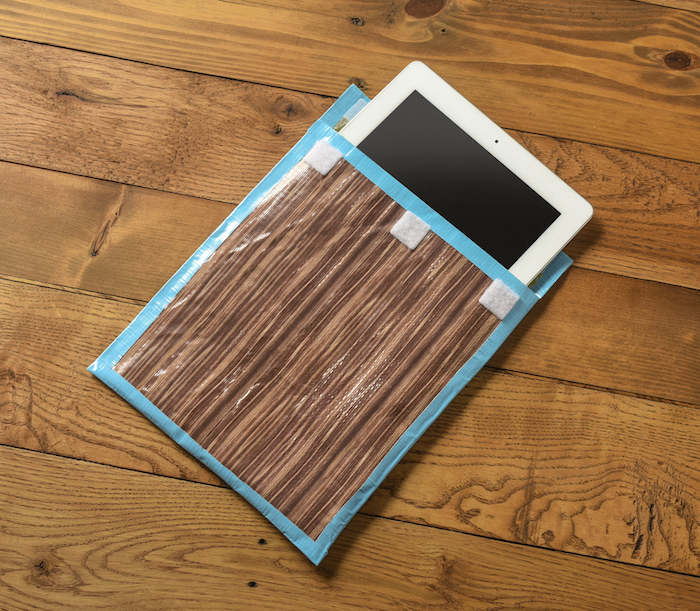 Make this chic wood grain duct tape iPad case by DIY Candy – a cool but frugal accessory. 3. 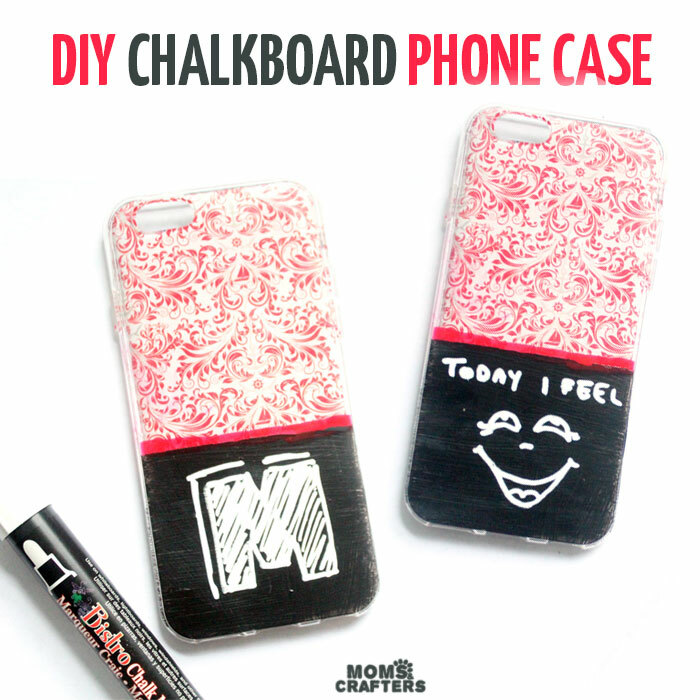 Write a special note on this DIY Chalkboard phone case – and make sure to include a chalk marker too! 4. 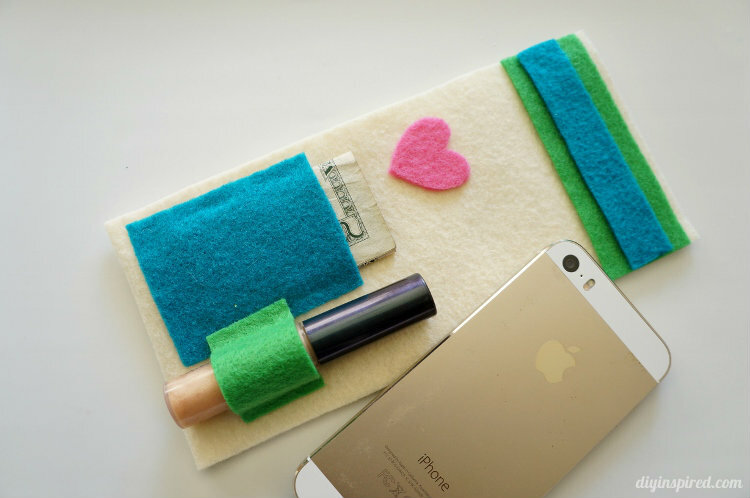 Or, you can make a 5-minute no sew DIY iPhone case by DIY Inspired – it holds other essentials too! 5. 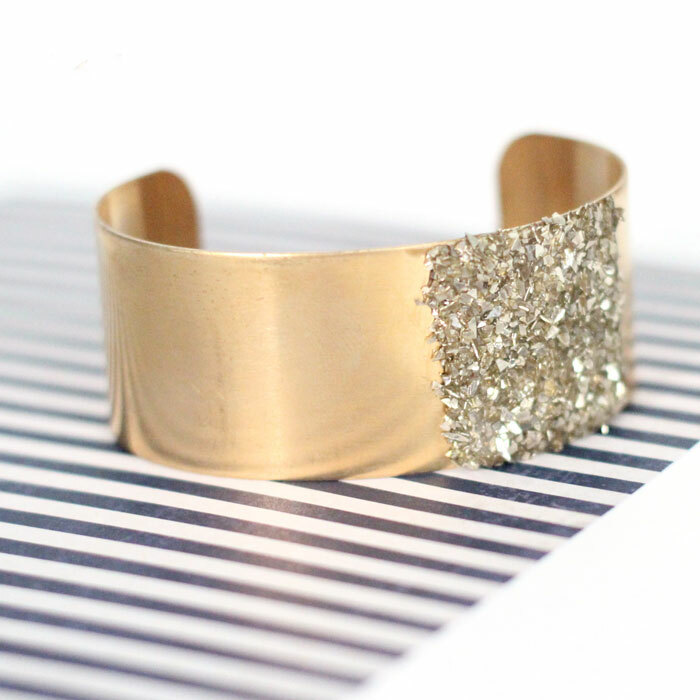 Make this easy glitter blocked cuff for a stylish impact. It’s made using glass glitter instead of regular for better quality. 6. 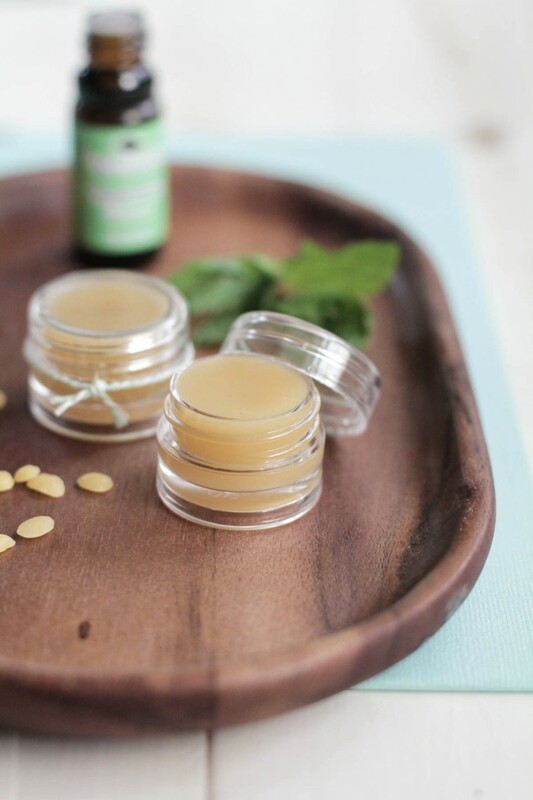 Or, make a homemade peppermint lip balm by Live Simply to get through those winter months of dry lips. 7. 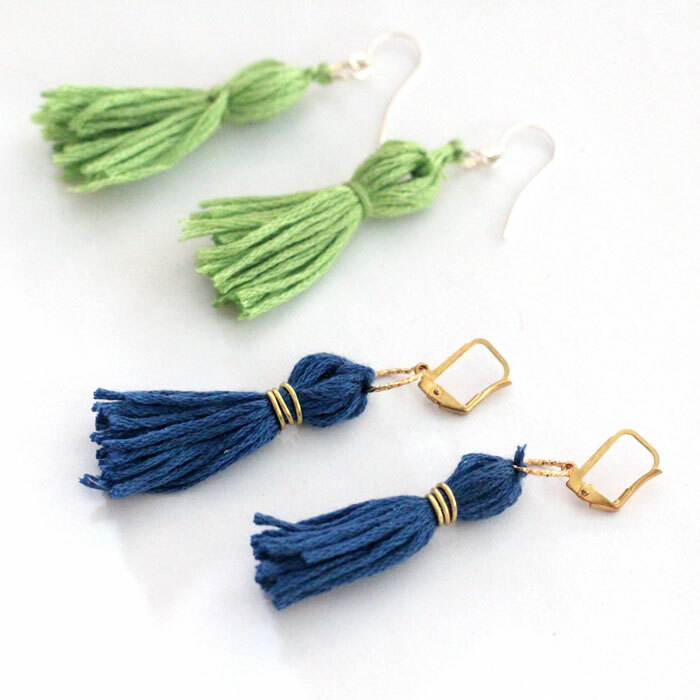 These tassel earrings are fun to wear – make one, or make a few! 8. 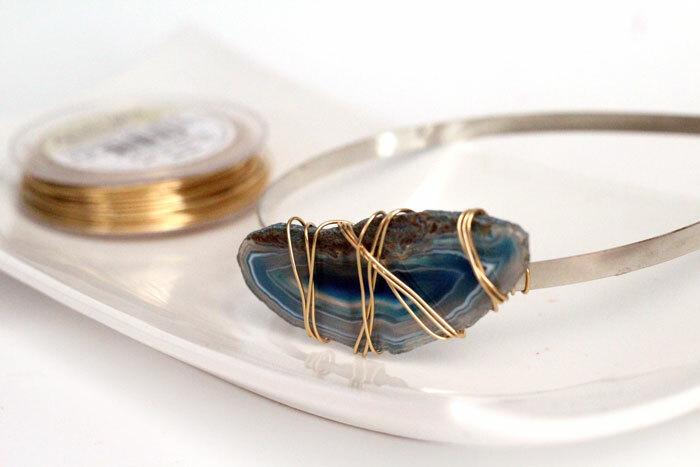 Or, try this wire wrapped bracelet for some fun, fashionable, and easy-to-wear arm candy. The base bracelet is super cheap (as is the wire)so you can make it for a few people at a low cost. 9. 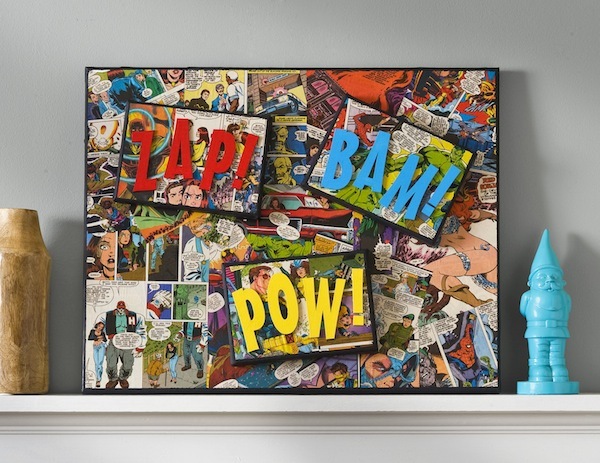 Give your comic book fan this superhero canvas by Mod Podge Rocks. 10. 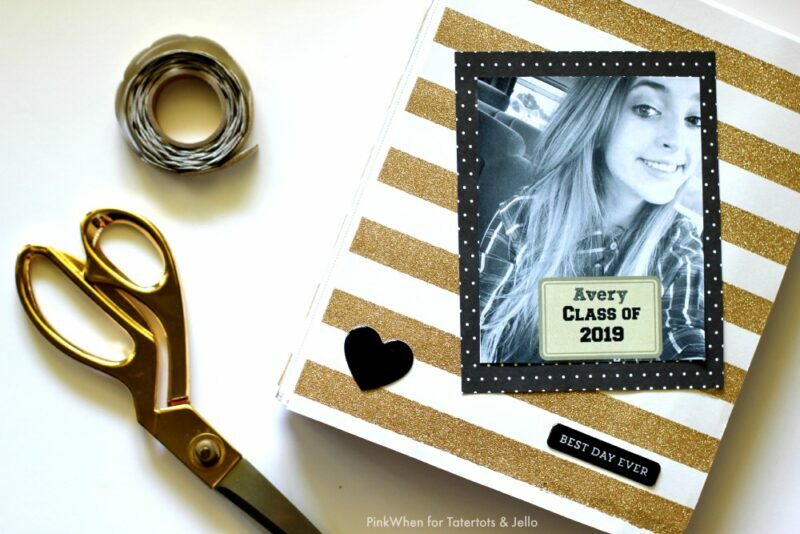 Or, put together a DIY High School Diary by Pink When for a BFF. 11. 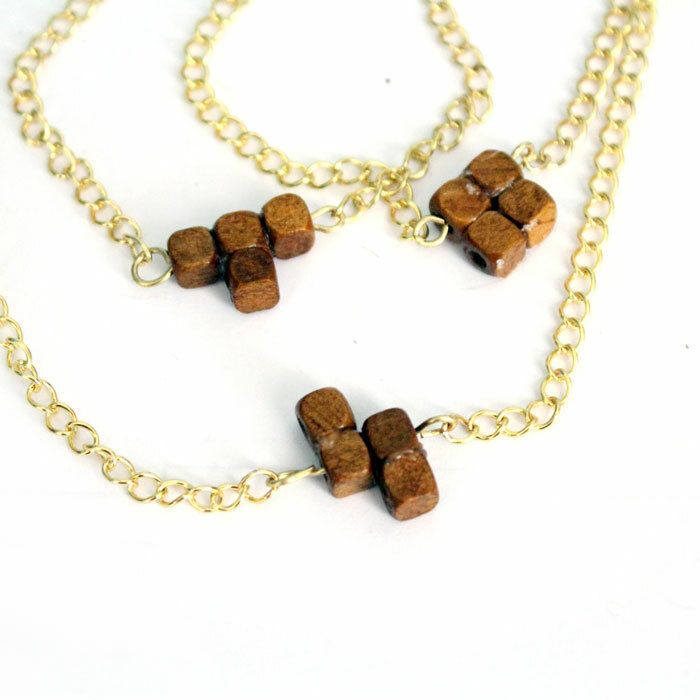 Make Tetris-inspired jewelry for a fan of the game that I grew up on. 12. 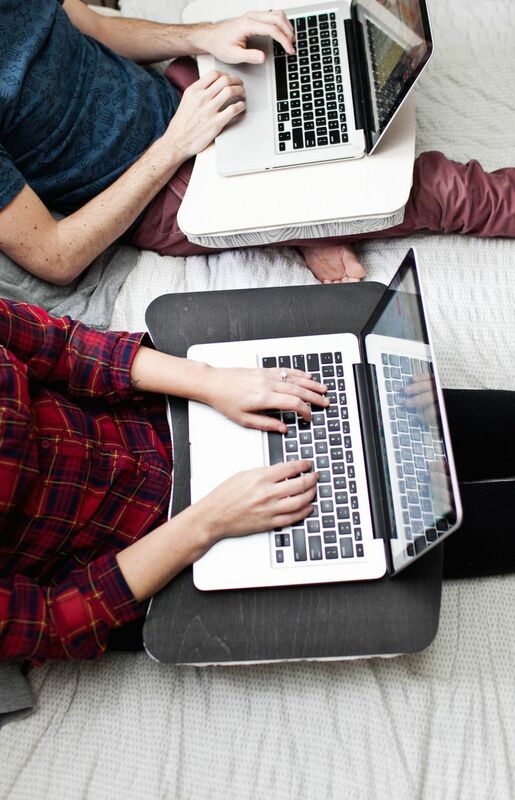 I may just make one of these DIY lap desks by A Beautiful Mess for myself! It’s functional and SOOO practical. 13. 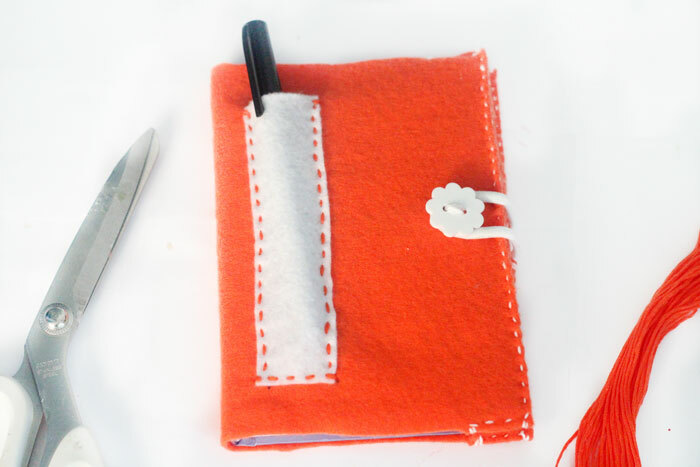 This DIY felt notebook is perfect for a friend who loves to write, as it makes a great journal. 14. 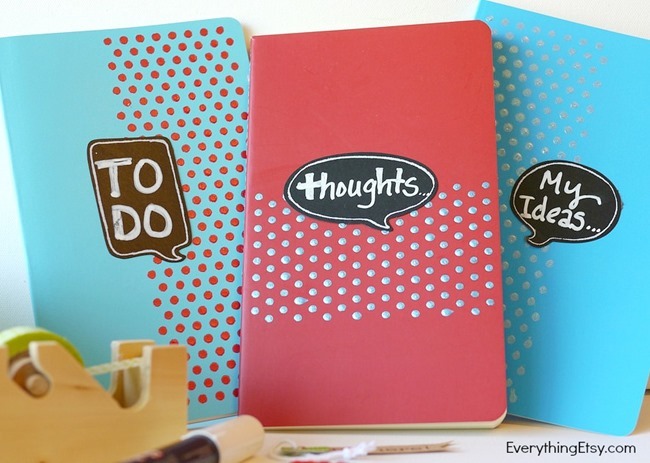 Or, try these quote bubble notebooks by Everything Etsy – aren’t they cute? 15. 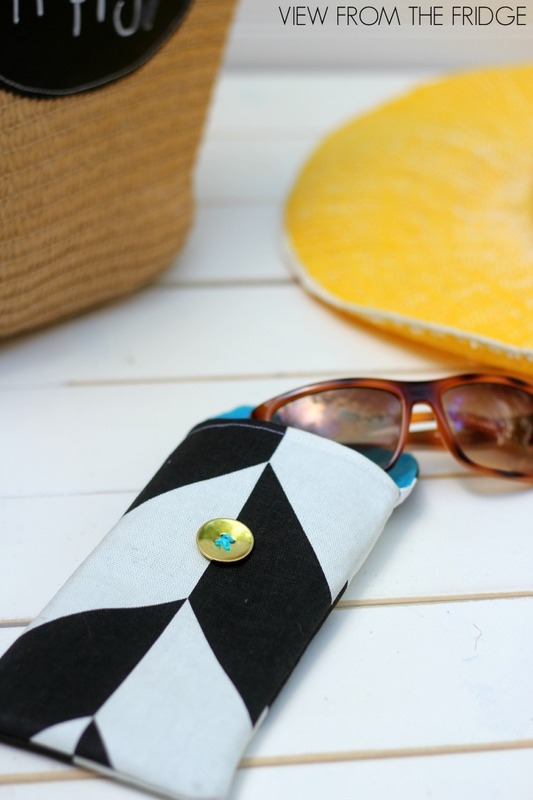 Make a simple but chic DIY sunglasses cases by View from the Fridge. 16. 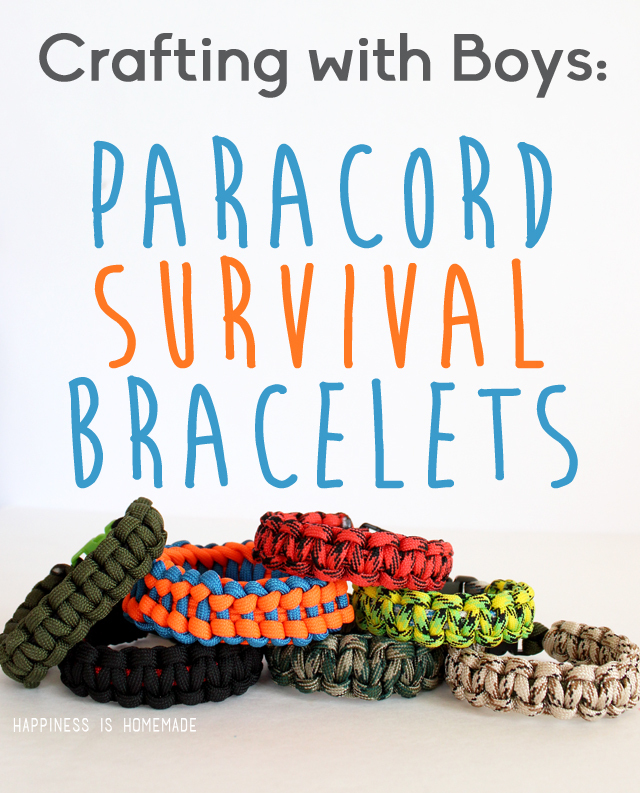 Try paracord bracelets by Happiness is Homemade – they are all the rage! 17. This simple wire wrapped headband is so easy to make – but doesn’t look it! 18. 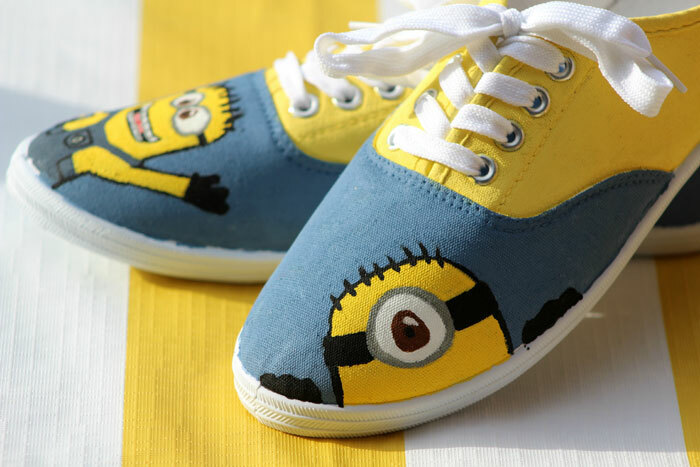 For a Minions fan, paint some Minion sneakers with those friendly creatures. 19. 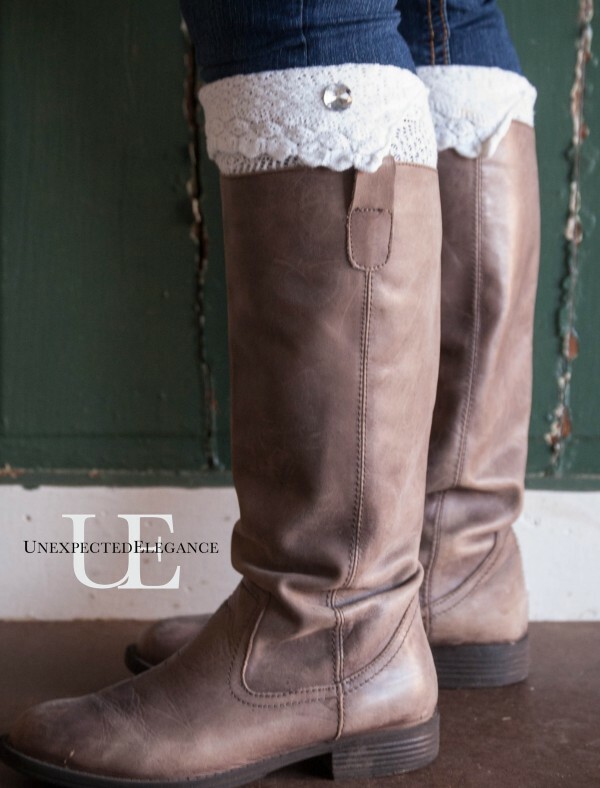 Make these trendy no-sew boot socks with embellishments by Unexpected Elegance – I know I’d love to receive them as a gift. 20. Here’s another adorable gift for a gamer – make these Tetris magnets! You can make them in more subdued colors for dudes too. 21. 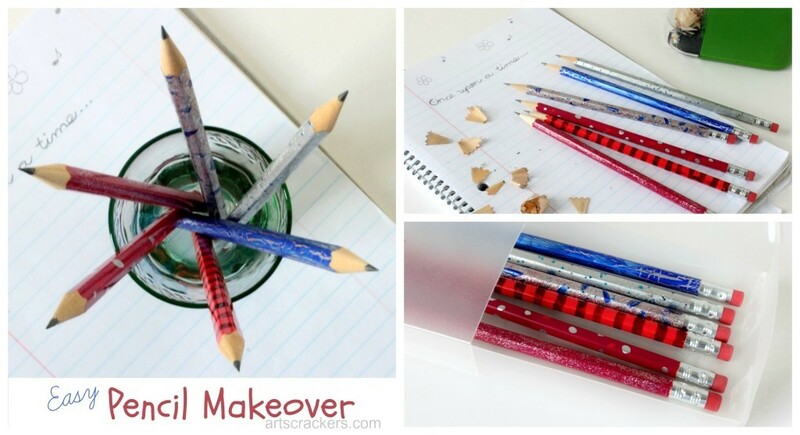 Finally, for a quick and easy gift, make some painted pencils by Arts & Crackers using a surprising “paint”. 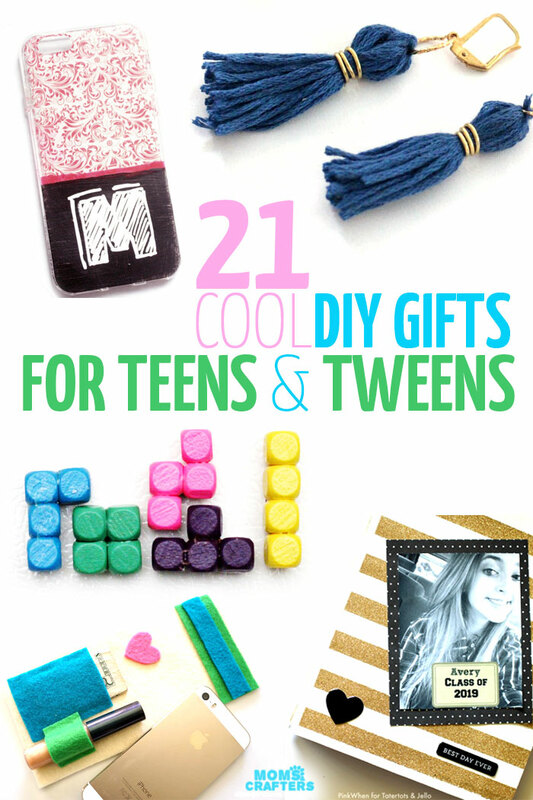 I hope you enjoyed these DIY gifts for teens and tweens. Which gifts do you plan to make? Crafts for Teens, Crafts for tweens, Gift Ideas, Holiday and Seasonal crafts. Bookmark.